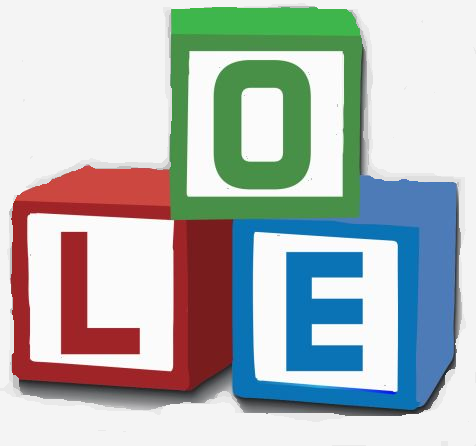 Our Learning Environment is an early childhood center for toddlers and preschoolers that centers around an academic and play-based, structured and developmentally appropriate curriculum. Our Eco-friendly educational center is uniquely designed to promote "green" living, with the use of non-toxic materials and techniques, and with an emphasis on organic/healthy snacks. Each year Our Learning Environment receives endorsement from the Eco-Healthy Child Care Council (EHCC). Our Learning Environment is directed by Danielle Urrego, a New York State Certified School Psychologist and Special Education Teacher. Danielle holds an advanced graduate degree from Fordham University's Graduate School of Education, where she was extensively trained in the psychology of child development, behaviorism, and the development of early childhood curricula. "I have complete confidence and trust in the team at Our Learning Environment. When my wife and I were choosing a program for my first child, we felt trust instantly and our expectations were beyond exceeded. The social and scholastic enrichment is second to none. We will continue to to send our children to the OLE and look forward to their future growth and development." My daughter has attended Our Learning Environment for two years. There she has learned all of the basic concepts that will prepare her for Prekindergarten. But what she has taken away from OLE is a love for school as well as habits and manners you cannot put a price on. The teachers and staff love each child as if they were their own and it shows. There’s no better program around. My daughter loves the experience of going to school at OLE. Teachers are all great, friendly and engaged with the kiddies. We are always excited to hear about her day and more importantly watch her blossom as she develops new skills. OLE is a top notch program. My son thrived there, emotionally and academically. The staff is professional and really understands what each child needs. Their curriculum is developmentally appropriate and the kids have fun while learning! Simply put: a great nursery/ pre-school program. This class is the only local class of its kind for 17-24 month olds. The class consists of intellectual & sensory stimulation for our new thinkers through play, song, movement, and exploration. Through circle time, guided activities, dance, free play, story time, art & more, we will foster your child’s imagination and critical thinking skills while providing the structure, intellectual arousal, and socialization that come with nursery and preschool environments. This is an ideal program for parents who seek a gradual transition and separation in a small, comfortable, and extremely nurturing environment. This class is designed for our ever-changing and always learning little ones. All children in this class are turning 2 years old by December 1st. There are twelve children, one lead teacher, one teacher's assistant and one floating teacher (a teacher that helps out both classrooms in the school) in this room. The Caterpillars follow a structured day that incorporates novel activities into a routine. Thus, allowing the children to understand what comes next and fostering excitement about it. For most, this class is a first nursery school experience and here they will begin to learn how to behave in a group, sit, listen and attend to group activities, and most importantly, how to socialize and play with peers. There is an enormous emphasis on building both expressive and receptive language skills in this class, which will ensure these Caterpillars soar into Butterflies. This class is designed for our unique, charismatic, fun-loving, playful, chatty and wide-eyed preschoolers. All children in this class are turning 3 years old by December 1st. There are sixteen children, one lead teacher, one teacher's assistant, and one floating teacher (a teacher that helps out both classrooms in the school). The Butterflies follow a structured day that revolves around a differing thematic unit each month (e.g., "All About Me and My Family," Weather," "Five Senses," etc.). This classroom fosters independence, learning and creativity through fun and experience. There is an emphasis on making choices for yourself, social conversation, problem-solving and conceptual development, as well as imaginative play. Following a school-year in this class, the children will be more than ready for Pre-K/Kindergarten. Please call, e-mail, or stop by our office to request an enrollment packet and/or tour. In addition, inquire about our 6 week Summertime Dreams and Themes Program.